At Heather's Pet Grooming we offer top quality grooming with start to finish grooming which means your pet will be out at a quicker time. We are open 6 days a week 8am to 5:00 pm Monday through Saturday. for your pet. 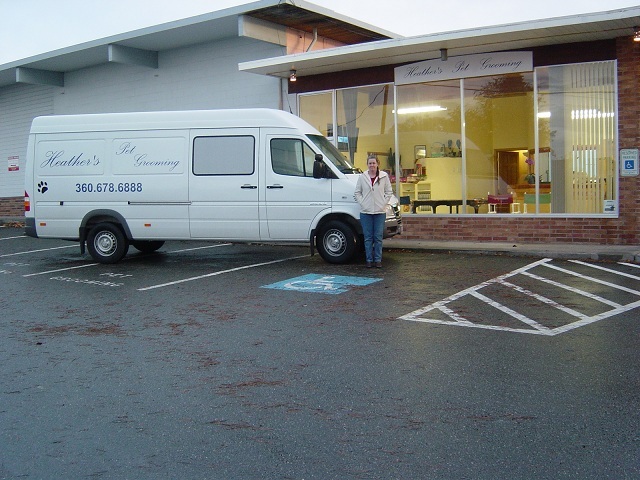 The mobile is available north, and central Whidbey ,Heather has been grooming for over 40 yrs and providing a mobile service on Whidbey island since 1991.